The great 19th Century French Magician Jean Robert-Houdin was widely considered the father of modern conjuring and it was he who famously commented that a magician is actually just “an actor playing the part of a magician”. In tandem with our touring performances of the “Leopold Thorn” plays we’re offering an integrated workshop programme on Magic and Storytelling led by Magician / Educator Dean Allen Jones and Writer / Actor Darren Gooding. Whilst Truelove Tours primary theatre output remains targeted at adults, we can make available a spectrum of one hour workshops. At the younger end (5+) we will be engaging with individuals too young to attend the main show; here the workshops will take the form of children’s magic shows in which the audience can be entertained and periodically participate. At the older end (Mid teens to adults) the workshop attendees are encouraged to both observe and actively participate; learning basic magic tricks, but with emphasis on developing the presentational techniques and narrative comprehension required for the successful performance of dramatic material. We begin by demonstrating effects that look like complicated magic, genuinely worthy of a high class show; we then explain to our students that they will be able to perform these illusions by the end of the session. The methodology is incredibly simple; however the presentation has been honed over many years, using both magical and dramatic theory. This demonstration does more than simply show people how to perform a trick; by highlighting the importance of presentation we illustrate how to turn any basic effect into a true show-stopper. This simple demonstration of the power of presentation opens the door to discussions on how we view our environment and how others view it. For the magic to work we have to see the world beyond our viewpoint and to look at the show from the spectator’s point of view. We then talk about looking at the world from other people’s perspectives. From here we can use magic and magical theory to help children and adults communicate and understand each other; ensuring they in turn can present their thoughts and views clearly. We’re always delighted to work with drama / performance groups associated with our tour venues, in additional to other cultural and community facilities in order to positively engage whole communities with both art and education. Venues that book performances of any of the “Leopold Thorn” plays will be automatically offered workshops. Workshops which can be undertaken in tour venues on the day of the evening performance will be complimentary for the venue. Workshops on non-performance days will be offered to venues at cost. We are always happy to hear from other organizations, (including libraries and museums), interested in hosting workshops. We try to keep our prices affordable, so please feel free to contact us with your details and requirements and we’ll try and put together a fantastic event suited to your space and budget. Our Workshop Co-ordinator Dean Allen Jones is a professional magician, entertainer and educator; specializing in Close-Up Magic for both adults and children, he also possesses practical experience of Stage Illusion. 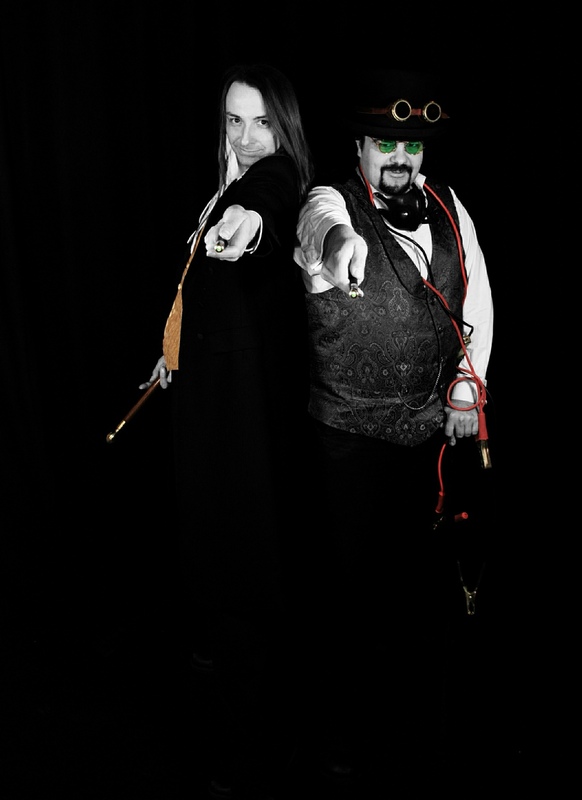 He has worked with Truelove Tours founder, Darren Gooding, on numerous projects over the past decade including; “The Cabinet of Leopold Thorn”, Steampunk magic show “Inventions of the Impossible” and off-beat film comedy “Magic: The Hidden Horror”. He recently worked as Stage Manager and Workshop Leader for the 2014 “Leopold Thorn” tour; a role he is continuing on this year. His expertise and knowledge of magic is extensive and his ability to organise resources formidable. He is an excellent communicator and has taught performance skills to both adults and children and uses magic to teach science and life-skills topics in schools.